Today I have a collab with a good friend of mine Adina or by her blog name Let’s Be Gorgeous. 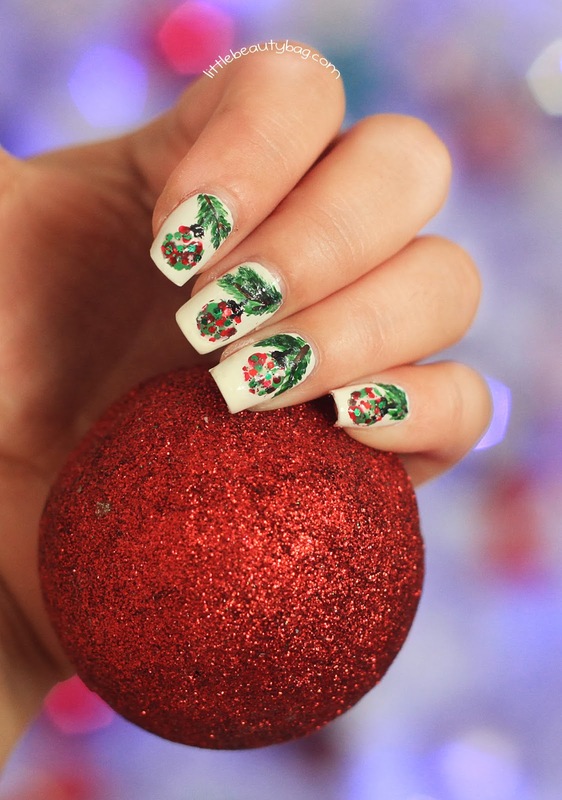 We thought that a manicure and to be more specific a Christmas manicure will be great. 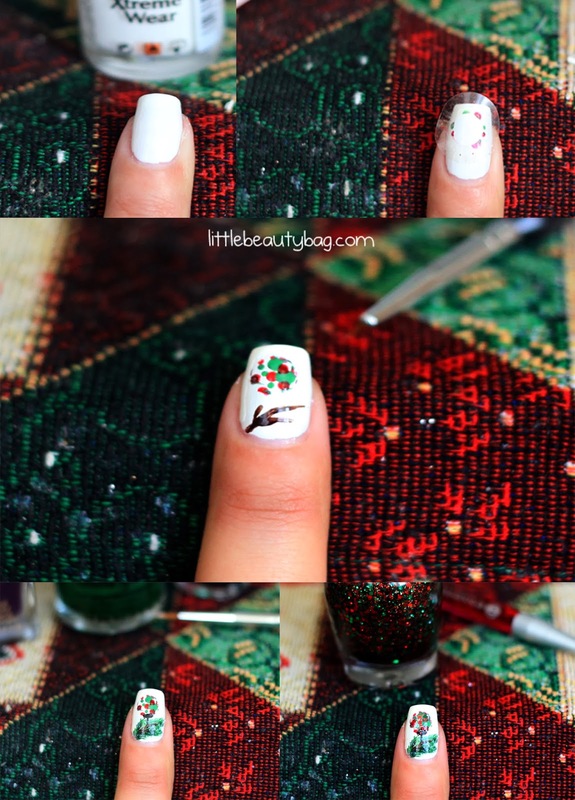 I started with something simple, I wanted a white base and over that white base a red & green glitter…but guess what? 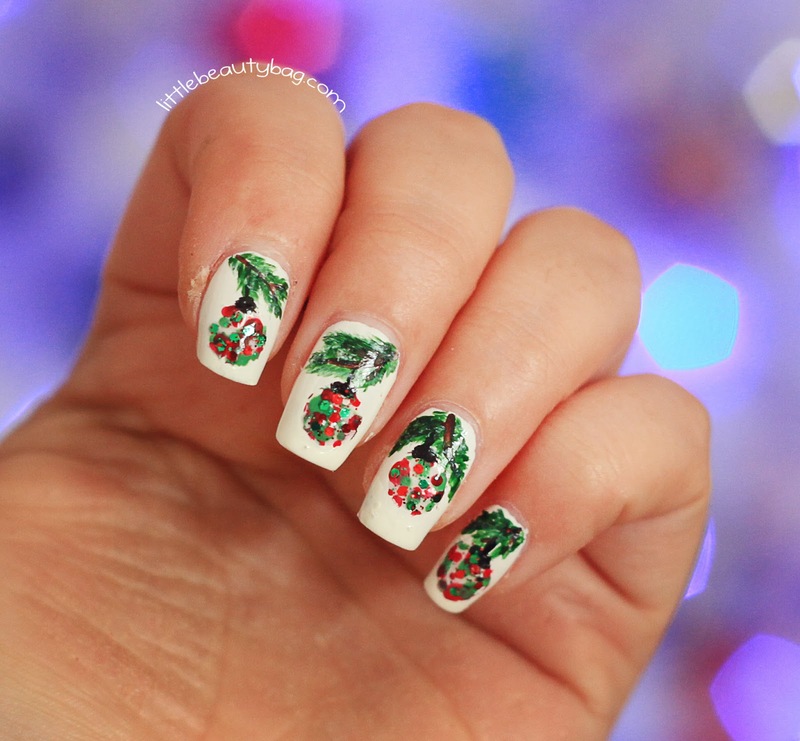 I couldn’t do it, was to simple for me…so I had an ideea to do Christmas balls..so here you have them.. I also attached a quick tutorial, hope you understand something from it :))) lool . 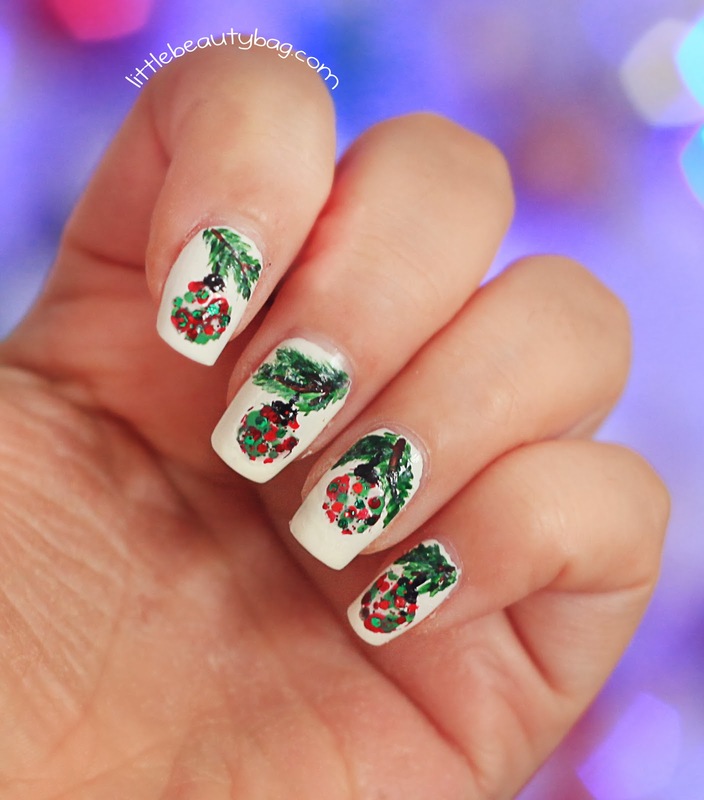 Hope you like them and please don’t forget to visit her to see another Christmas nails design! Ti-am spus ca sunt increeeedibil de frumoase?! Ai un talent pe care nu il gasesti la oricine! Superb!